Diwali is leading manufacturer, exporter and supplier of the best quality Straight Non Remy Hair Extension. We specialize in offering a wide collection of straight Non Remy, which is process by us using higher quality human hairs. Non-remy hair is hair that collected from the floor of temples, salons and random suppliers. Diwali is a leading supplier in hair extensions. Our hair is fairly source, processed smoothly using Eco-friendly material, and is planned to final. 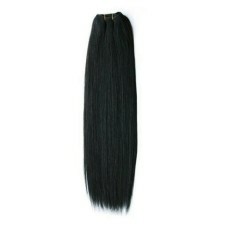 We use only the highest graded A+ superior quality Straight Non Remy Hair Extension . We have all size available and best quality. It is shine, soft, thick and no tangle and no shedding, with high quality. Our Non Remy hair extension without chemical process and you can be easily colored and bleached. Straight Non Remy Hair Extension are ultra luxurious extensions that have specifically considered less significant clips with a exclusive silicone strip that won’t harm your natural hair or scalp. They will stay securely in place without need for hairspray or teasing of your natural hair. Straight Non remy Hair Extension 16"
Straight Non remy Hair Extension 18"
Straight Non Remy Hair Extension 22"
Straight Non remy Hair Extension 30"